Hi, I'm Buster Moody- a comic creator, animator, video editor, beat-maker, human being and more. You may know of my comic with writer Caleb Goellner, TASK FORCE RAD SQUAD, but I've also worked on titles such as TEENAGE MUTANT NINJA TURTLES, TMNT Amazing Adventures, TMNT Universe, GODZILLA in Hell, etc. 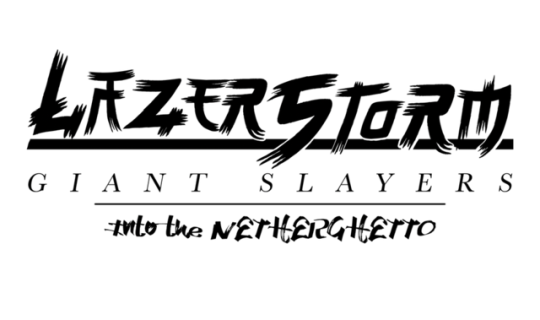 This Patreon exists to facilitate the comic I'm currently producing: LAZER STORM: Giant Slayers, about a team of misfits who use lazer-based weapons to slay giants in the not-too-distant future. I'm personally handling every aspect of the production on this book. Come SLAY with me. You're in. Here you have access to the page-a-week serialized version of Lazer Storm, as well as all Patron-exclusive posts! You've penetrated further. Here you have access to all Patron-exclusive posts, and access to unlisted process, time-lapse, and behind-the-scenes videos and content. In the Inner Courtyard you receive all before-mentioned benefits as well as physical aschcan comics of Lazer Storm and other comic projects as they progress, mailed right to wherever you are, on a bi-monthly basis. When the Lazer Storm issues are released your name will be included in the Shout Outs section of the book. In the Semi-Holy Place you receive everything before-mentioned, as well as a single 5"x7" character bust commission of your choosing. In the Holy Place you receive everything before-mentioned, as well as an 11"x17" commission of your own personal choice. The absolute cheapest way to get a custom commission from me! In the Holy of Holies you make a 1-time payment and receive all benefits up to the Semi-Holy Place, as well as a page of original artwork from Lazer Storm: Giant Slayers. This is the cheapest way to get Lazer Storm original pages!